Time’s running out and nothing’s going right for Dennis. For his doppelganger, it’s just business as usual – but for Dennis, the stakes couldn’t be higher. In a moment of panic, Dennis does something extreme – but does he have the courage to follow it through to the end? 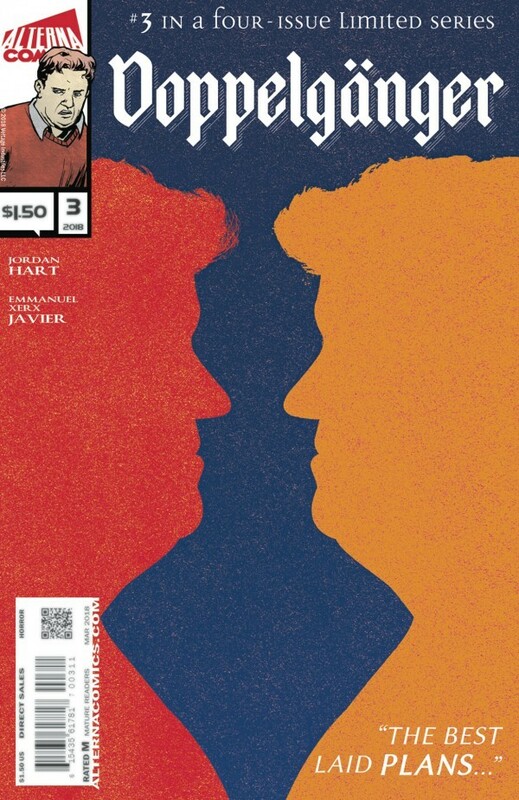 Dennis and his doppelganger get equal time in this issue and it’s really building well to an ending. I like the back and forth between the two, and then when they are apart there are some interesting points! The art continue to be excellent, with some nice use of the darkness and shade – especially towards the end. Dennis is still in serious trouble and his doppelganger is one step ahead all of the time – one more issue left, and things look bleak! The Blade is Back?! Slade’s bloody journey of revenge leads him to ‘Lost Vegas’ where he hopes to enlist the unlikely help of the deadliest woman in the Western Territories. 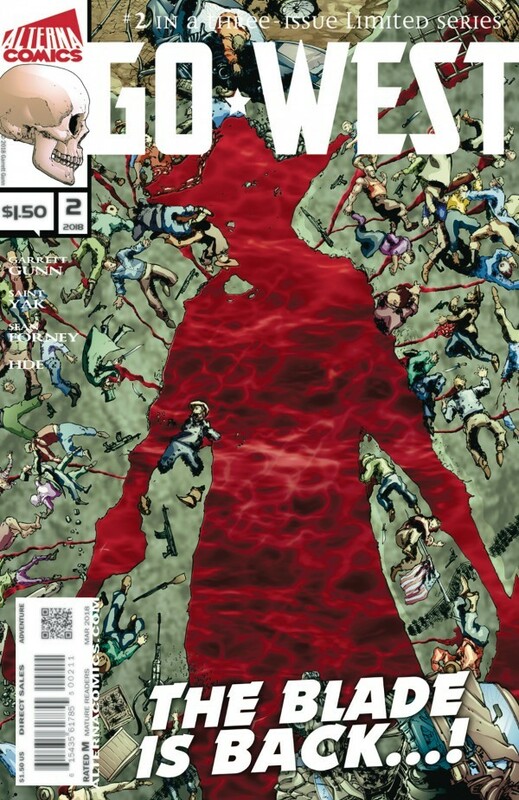 There’s less violence in this issue – but last issue probably got the quota for both issues. 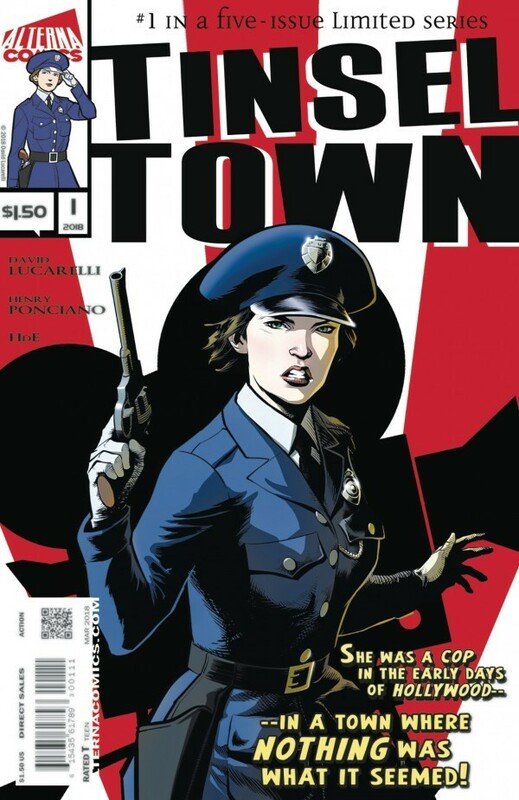 And I have a funny feeling that the final issue will have more! This was more about the build up to the final act. Slade is gathering allies and they have their own allies. Going against Creep will be difficult as he seems to have his own resources…. There is a really good feeling to this story. Bleak and western at the same time, there are normal people and frontier justice. Slade doesn’t get a go, but there are others. I’m really enjoying the style of this series, with the washed out colouring! This is interesting, I went in thinking it was going to be one thing – and it turns out to be another! That’s Hollywood for you. There are some nice twists and turns and you realise as soon as Abigail does. There’s more to this than meets the eye, and this is just the first issue, but I like the way the characters are being introduced and used. The art style and colouring are perfect for the scenes and this looks to be an enjoyable series! A good new sci-fi story here, with space, aliens, beasts, time travel and a hunter? There’s also a crime – what happened to the human race and how? 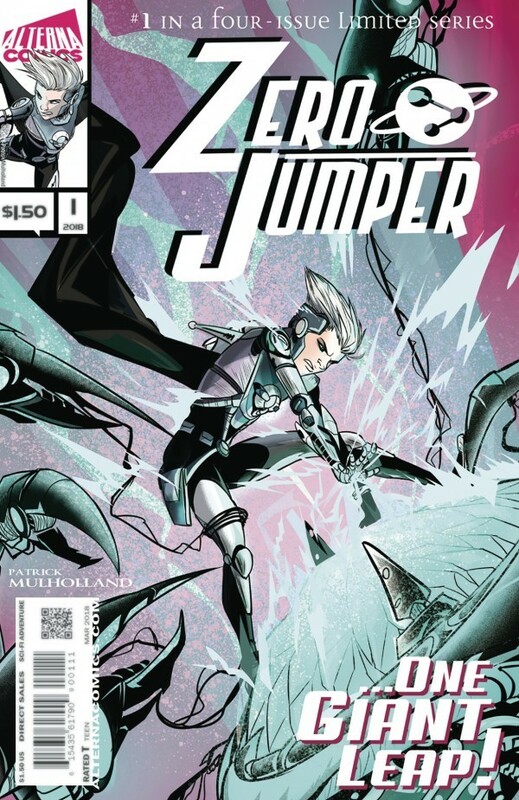 We get some of the answer at the very end, but the most of this issue is pretty fast paced, with a good introduction to Juno and what she is like. The reason for her ‘theft’ is also quite obvious, but this is a good read, and a good start to what looks like a good story!